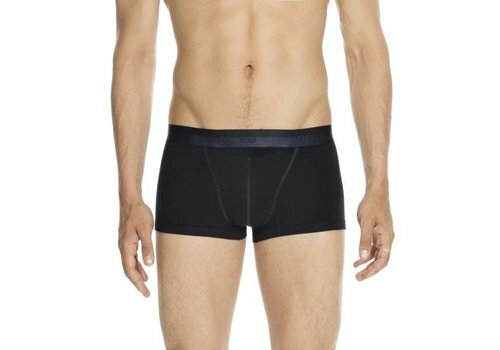 The modal boxer is the basic model with unequaled comfort and softness. The HO1 SPORT ACTIVE boxer has been designed for optimal physical performance. As light as a feather, these HOM boxers for men in polyamide elastane gives a perfect second-skin sensation. The HO1 boxer is the iconic model of the HOM brand. As light as a feather, these HOM trunksboxer briefs for men in polyamide elastane gives a perfect second-skin sensation. The FOR HIM boxer briefs are trunks in microfiber, a must-have from the TEMPTATION line. These trunks for men in modal cotton are essential and basic boxer briefs, a true classic.